Federico Brasi is a Producer and Dj. He was born in Rome in 1990. He heard his first house track from his brother, when he was 12 and he was so amazed by this music that he started only listening to that. 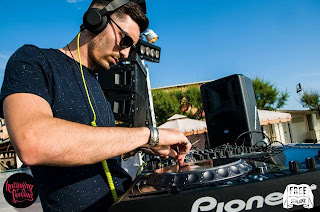 When he was 20 he decided to moved to london where expanded his knowledge and he explored a lot of different genres of music and he even started moved around the UK, and after about 2 years he moved back to Rome, where he produced his first track released on Mahaba Records.